U.S. President Donald Trump's recent denunciation of Pakistan's "lies and deceit" is long overdue. Pakistani Foreign Minister Khawajah Asif's retort -- "We do not have any alliance" with the U.S. -- appears to administer the last rites to a relationship long battered by mistrust. Are there, however, sufficient U.S. interests served by maintaining military cooperation with Pakistan, despite the contentious relationship? Pakistan's two-faced role in joining the U.S.-led war on terror, while at the same time giving sanctuary and assistance to terrorist groups, was apparent even before the 9/11 attack on America and continues to this day. President Trump's decision to withhold military aid may cause Pakistani intelligence agencies to be even less cooperative than they were in the past in assisting U.S. forces deployed to Afghanistan. Moreover, Pakistan's commercial, economic, and investment interests appear now more closely aligned with China. 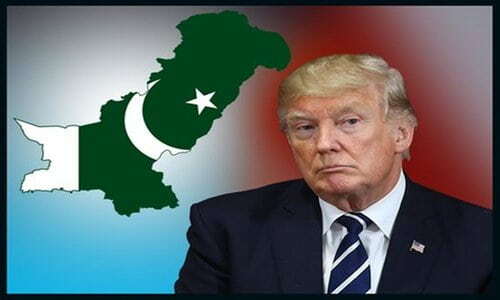 It is also in America's interest to end its own double game of attempting to be allied with both India and Pakistan, countries that are mortal enemies; it would be wise to choose India over Pakistan. As the world's most populous democracy, India shares U.S. liberal democratic values. Its power in Asia is exceeded only by that of China, America's principal competitor in the Pacific. The recent liberation by Pakistani troops of an American family -- kidnapped five years ago in Afghanistan by Pakistan-based terrorists -- should not be seen as a decision to cooperate more fully with the U.S.-led war on Islamic terrorism. U.S. Navy SEALs were ready to liberate the hostages in the event that Pakistan refused to do so. Reports suggest that U.S. intelligence passed to Pakistan the exact location of the hostages, making it difficult for the Pakistanis not to act. Consequently, Pakistan, as an alleged ally of the U.S., had little choice but to assist. The terrorist group holding the hostages, the Haqqani Network, has close operational planning links to Pakistan's Inter-Services Intelligence (ISI). These links between Pakistan and the Haqqani Network and other terrorist groups, such as Lashkar-e-Taiba, underscore the untrustworthy nature of such a professed ally. Ironically, it is arguable that America's greatest enemy in the region is not al-Qaeda, but Pakistan. Afghanistan's former spy chief, Amrullah Saleh, seems to agree. He assessed that "the amount of pain that Pakistan has inflicted upon the United States in the last 12 years is unprecedented." So why should we be surprised that Osama bin Laden's hideaway was in Abbottabad, less than a 30-minute drive from Pakistan's "West Point," the Pakistan Military Academy at Kakul? U.S. policymakers should not have been surprised -- if they were -- at Pakistan's decision to give refuge to bin Laden. In the years prior to 9/11, Pakistan was one of only three countries to have diplomatic relations with the Taliban regime in Afghanistan. And, as host to al-Qaeda, the Taliban offered the infrastructure to support the September 11, 2001 attacks on the World Trade Center and the Pentagon. Pakistan's ISI continues to sponsor, equip, and train several terrorist organizations that directly target American troops in Afghanistan, as well as regional allies of the United States, such as India. Groups such as the Afghan Taliban and its subsidiary, the Haqqani Network, are considered assets by the ISI to help Pakistan accomplish its goals in Afghanistan, one of which is to create enough instability to prevent its rival, India, from gaining influence there. The Haqqani Network also continues hostile operations against the U.S. military. Other terrorist groups, such as the Pakistani-supported Lashkar-e-Taiba, too are employed by Pakistan's ISI to commit terrorist acts against Pakistan's regional archrival, India. Pakistan does cooperate with the U.S., however, when American troops target those terrorist groups that Pakistan's ISI does not control -- those working to overthrow the Pakistani state. Most of these groups operate out of Northwest Pakistan's remote Khyber Pakhtunkhwa Province and the Federally Administered Tribal Areas (FATA), regions that have never been under complete control of the central government. Pakistan also has a poor record on controlling nuclear proliferation. As is well known, the scientist most responsible for Pakistan's development of nuclear weapons capability, Abdul Qadeer Khan, disseminated technical information that aided the nuclear programs of North Korea and Iran, both of which are long-time adversaries of the United States. Given the critical nature of his research, Khan could not have acted so freely without protection from high-ranking Pakistani intelligence officers. It matters not whether Khan was motivated by greed or ideology; his deeds dealt a severe blow to the U.S. effort to keep nuclear weapons knowledge from the world's rogue nations, such as Iran and North Korea. Pakistan is not a democracy, despite its current regularly-scheduled elections. It remains a violent, intolerant society in which religious minorities, such as Shia Muslims and Christians, are under constant threat of persecution. In fact, not a week goes by without a massacre of minorities in some part of the country. There is little doubt, then, that Pakistan is more enemy than ally, and acts more like a rogue state than a responsible member of the family of nations. So why does the U.S. continue to have normal relations with Pakistan? To what end does the U.S. continue its military cooperation? What U.S. national security interest does this cooperation serve? In part, the military alliance continues as a Cold War relic; Pakistan once served as a bulwark against Soviet expansionist policies in South Asia. For instance, during the Soviet Union's occupation of Afghanistan (1980-1988), Pakistan served as a staging and training area for anti-Soviet fighters from all over the world. Despite the implosion of the Soviet Union, this military-to-military relationship endures. It is not, however, in the U.S.'s interest for Pakistan to dissolve as a nation-state no longer sovereign in its territorial space. This would invite Islamic terrorists throughout the world to flock to a newly failed and ungoverned region, jam-packed with nuclear weapons. Nor would such a scenario be in the interest of India, which could become the principal target of a collapsed Pakistan. The collapse of nuclear Pakistan would require action by outside powers, probably including the U.S., to interdict any possible efforts by terrorist groups to seize its nuclear weapons. As long as the United States and its allies have troops deployed to Afghanistan, it is prudent to paper over existing tensions. Pakistan and Afghanistan share an approximately 2500-kilometer border, etched with mountainous topography and remote passes that can facilitate terrorist infiltration. Without Pakistan's present limited cooperation, American troop casualties in Afghanistan could rise sharply. Pakistan might entirely end its already less-than-ideal assistance to the war effort in Afghanistan. However, it is long past time for the U.S. to choose what type of relationship it wants.